If you take a lot of screenshots on your iPhone, this simple iPhone app might just be a blessing for you. 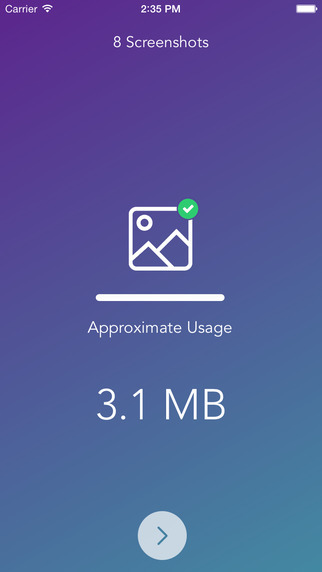 As important as taking those screenshots is at times; after a while you have taken them, they are not useful and instead consume unwanted storage space on your device. To solve this problem, all you would want is to delete them from Camera Roll. Deleting them one-by-one going through all your photos is very frustrating and time-consuming. I take a lot of screenshots on my iDevices and if you also do, you would understand the situation I am referring to here. Well, if you don’t know how to take a screenshot on an iPhone or an iPad, here is a simple tutorial on how to do it. In the app, tap to scan your Camera roll, and select the screenshots you want to delete. 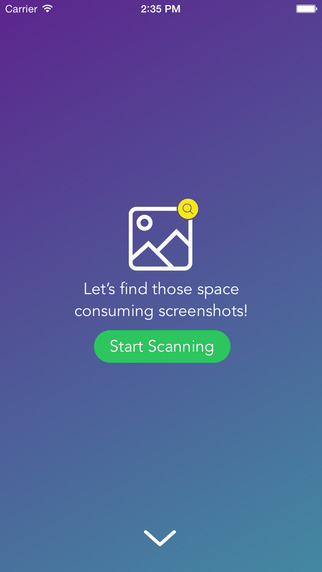 Screeny gives you an option to delete all the screenshots at once, and of course you can filter the screenshots based on 15 days, or 30 days old. 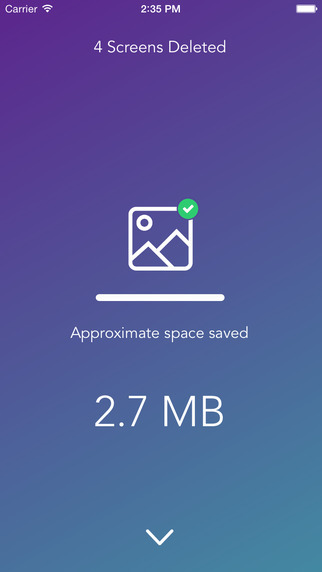 The app also tells you how much storage space you will free up by getting rid of the selected screenshots. Once you have selected the screenshots you want to delete on your iPhone, click on the trash icon and voila, you are done! All those screenshots you no longer need, that have taken up that unwanted storage space on your iPhone are deleted from the Camera Roll and moved to Recently Deleted album. If you want to, you can still restore the deleted screenshots from Recently Deleted album unless you want iOS 8 to automatically delete it after 30 days. 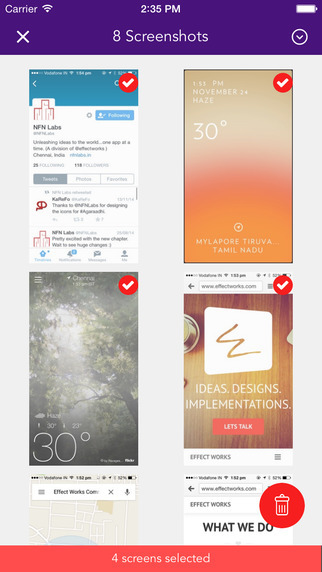 As iOS does not offer any way to organize the screenshots (yet! ), Screeny is a simple solution to a rather small and annoying problem. One feature we would love to see in the next versions of Screeny is an option to auto-delete screenshots after they get a set number of day old. So, if NFN labs is reading this, here is an item to go on your to-do list ;). I take a ton of screenshots and this app makes my life real easy. If you fall under the same category, download Screeny now which is available for £0.69 in the App Store, and is the only solution to resolve this issue. Download Screeny from the App Store at this link. Previous post: This is How Flappy Bird Creator’s Next iOS Game Looks Like!